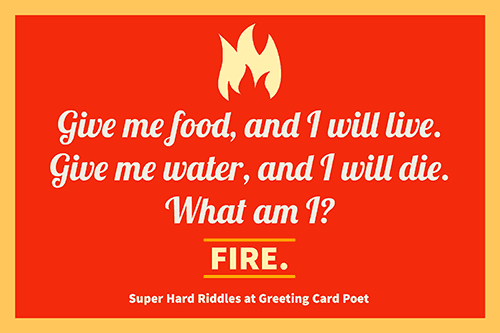 These hard riddles are meant to trip you up. It’s no doubt that these will have your brain working at the fullest, maximum capacity if you hope to solve them. These stumpers hit you with details from every angle and will not only challenge your brain, but will also encourage you to think outside the box. Some may be harder than others and in case you found them difficult, we have provided answers. 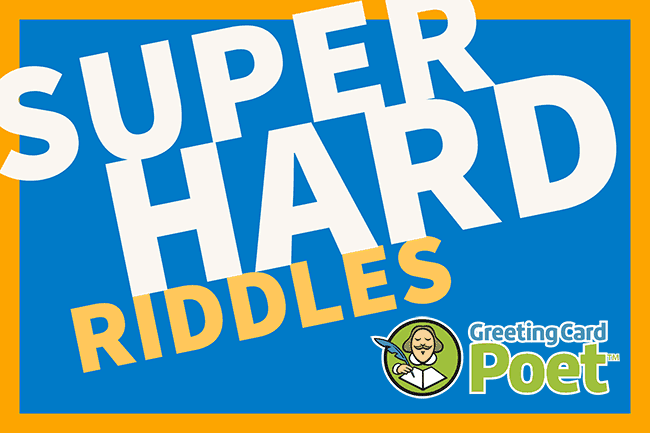 See if anyone you know has stellar problem-solving abilities by challenging them with these difficult riddles! What word starts with E and ends with E but only has one letter in it? It’s shorter than the rest, but when you’re happy, you raise it up like it’s the best. What is it? What is full of holes, but still holds a lot of water? A word I know, six letters it contains, remove one letter, and twelve remains. What am I? You see a boat filled with people. You look again, but this time you don’t see a single person on the boat. Why? The boat has not sunk. All the people on the boat are married. If there are three cups of sugar and you take one away, how many do you have? One, as that is the only one you took away and that is all that you have. The rest still remain where there were. What word of five letters has only one left when two letters are removed? Why are 1998 pennies worth more than 1997 pennies? If you have it and you show it to other people, I’m gone. What am I? I speak without a mouth and hear without ears. I have nobody but come alive with the wind. What am I? 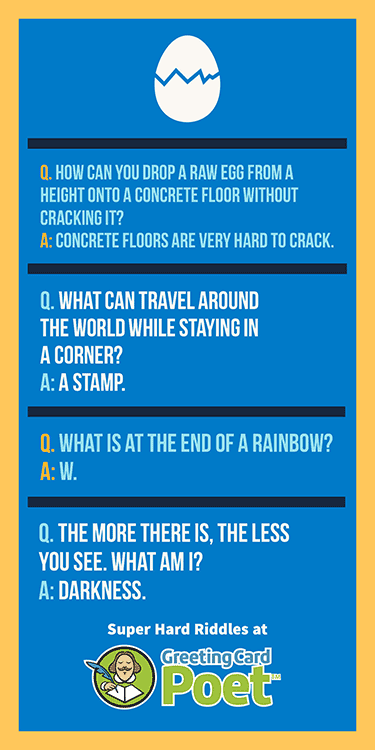 Tip: If you have some free time, put your noggin to good use by trying a few of these hard riddles. They’ll keep your mind sharp. How do football players stay cool during a game? They stand next to the fans. What type of dress can never be worn? My rings are not of gold, but I get more as I get old. What am I? What has ten letters and starts with gas? How many bricks does it take to complete a building mades of bricks? What falls, but never breaks? What breaks, but never falls? Mike and Pat are in a desert. They both have packs on. Pat is dead. Mike who is alive has his pack open, Pat has his pack closed. What is in the packs? What has four fingers and thumb, but it is not living? What has a heart that doesn’t beat? I only lie down once – when I die. What am I? I have four keys, but no locks. I have a space, but no room. You can enter, but can’t go inside. What am I? How do you fit ten horses into nine stalls? What comes in a minute, twice in a moment, but never in a thousand years? You are my brother, but I am not your brother. Who am I? What goes up a chimney down, but not down a chimney up? There are two sisters. One gives birth to the other, and she in turn, gives birth to the first. Who are the two sisters? Each day many people from all over the world come and visit me, however they usually only stay for a couple minutes. I am considered by many to be very dirty, yet few people would want to live without me. And, whenever people come see me, they show a part of themselves that they rarely show to others. What am I? What happens once in a minute, twice in a moment, but never in a thousand years? Note: To make it quicker for you, there’s no “show answer” button immediately below the query. No need to click to find out the answer. It’s listed right below. A rooster lays an egg at the very top of a slanted roof. Which side is the egg going to roll off on? Where can you finish a book without finishing a sentence? From the beginning of eternity, to the end of time and space, to the beginning of every end, and the end of every place. What am I? The shadow of an elephant. Which part of a boat, does a shopaholic like the most? Name a 7 letter word, from which if you take out 4 letters, you will have 1 left? What can’t be burned in a fire nor drowned in water? Ice. It melts instead of burning in a fire and it floats in water. If you are running a race, and you pass the person in second, what place are you in? John walks into a bar and asks for a glass of water. The bartender then shoots the ceiling with a gun. John says thank you, and walks out. Why did John want the water? He had the hiccups. The bartender used the surprise method to shock him out of his hiccups. What can fill an entire room without taking up any space? What exists when one person has it, but ceases to exist when another person gets it? Bennett pushed his car into a hotel and lost his fortune. How? He was playing the game Monopoly. One knight, a ninja, and a pirate are on a boat. The boat crashes. The pirate jumps of first, the ninja jumps off second, and who jumps off third? Take off my skin – I won’t cry, but you will! What am I? And you’re all done! 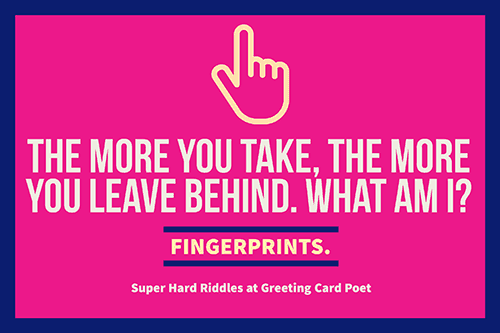 You were probably surprised at just how easy some of these challenging, hard riddles were as you attempted to wrap your mind around them. Test your family and friends and see how long it takes them to solve these. Save the toughest for your closest friends or older brother. You’re on the Hard Riddles page.